It may be America's Dairyland, but Wisconsin's agricultural roots don't mean it lacks modern dwellings. Tour these six examples! Designed by his son and daughter-in-law, and largely built by his family and a host of neighborly helpers, Bill Weber’s new home is all about strengthening the ties that bind. 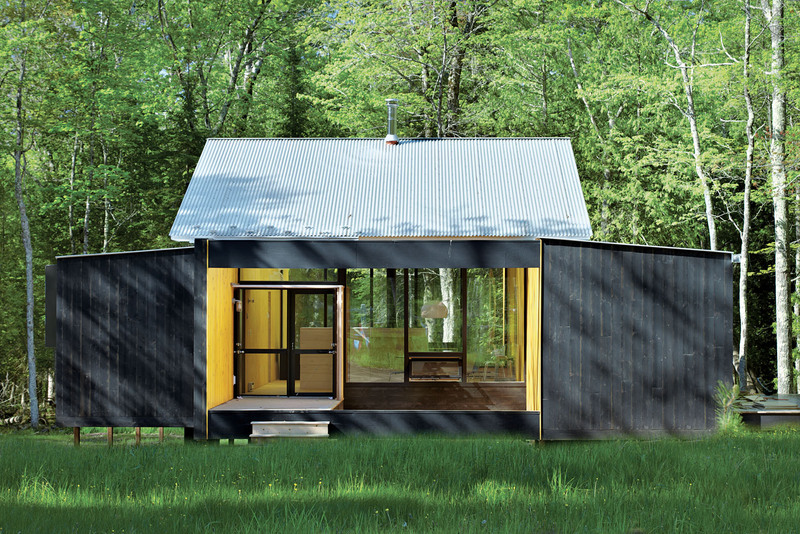 Clad in galvanized corrugated metal, it sits comfortably in the rich, green Wisconsin valley. Architect Bill Yudchitz asked his son, Daniel, to help him create this self-sustaining multi-level family cabin in Bayfield, Wisconsin. Floor-to-ceiling doors from Sierra Pacific Windows open the structure to the elements and can close to provide a protective layer when the dwelling is not in use. At just $167 per square foot, this high-design, low-cost barn in rural Wisconsin is an American idyll. A steeply sloped site in the Wisconsin forest, plus an equally steep budget, led architect Brian Johnsen to reinvent the archetypal cabin for a sturdy vacation home.